Residents of Bellemue Town in Panta District #4, Bong County are calling on the National government through the Ministry of Education to see reasons to dedicate the newly constructed modern high school that was constructed in the area. The residents speaking through their general Town Chief, Mr. Jacob Koyo said the Labalah Child-Friendly High School project was initiated by the government of Liberia in 2014 and was completed in 2015 year. He said, since the completion of the school project they have had no access to it, on grounds that it has not been dedicated or turnover to the community for the intended purpose in which it was constructed for. He further said the school project was initiated by the government of Liberia with support from the Japanese government in collaboration with the United Nation in Children’s Education Fund (UNICEF) and implemented by a Chines construction company. The Bellemue citizens said if the school is not dedicated their children will not acquire a high school diploma in that part of Bong County. “Some of us don’t have the finance to support our children in schools that are in the urban area like Gbarnga, this is while we are calling on the government to please dedicate the school for our children to acquire high school education in the district. 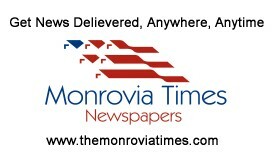 The school when not open, it will lead to the increase rate of illiteracy in this town and its surrounding towns and villages,” the citizens said in an interview with The Monrovia Times. Our correspondent said Bellemue is one of the centrally located towns in Panta District with approximately 3,000 inhabitants. Our reporter also visited the site and discovered that the structure is well designed with blue and white colors with twenty-five classrooms including toilets, bathroom, offices, and an auditorium that can accommodate over eight hundred students due to its location. Meanwhile, when contacted the Human Resource Officer of the Ministry of Education in Bong County for region two and a defeated candidate of district#4 in Bong County in the 2017 parliamentary election, Mr. Shalor Flomo Namue said the building of the school came when Liberia joined partnership with the Global Partnership Education (GPE) in other to build schools in the county. The Bong County human resource said the Ministry of Education chose five communities in three of the districts in Bong County to benefit the project, Bellemue in Panta district, zeasue in Jorquelleh district#2 and Bong Mines in Fuamah district among others. Mr. Namue has attributed the delay in the dedication of those schools due to the lack of qualified instructors to take on assignment in those areas. He, at the same, time said most of the instructors these days are not willing to leave the city to go in the various districts to teach, at the result most of the schools are without teachers in the county.